How Does Digital Media Affect Buddhism? A new book called Buddhism, the Internet and Digital Media: The Pixel in the Lotus, is now available for purchase. Composed by 10 different contributors and 2 editors, this book is a compilation of case studies, ethnographic research, content analysis, and interviews with Buddhism practitioners and online communities. Through this information and research, we can analyze the way digital media impacts Buddhism. The authors question how the internet can also affect identity, authority and community, as well as the impact this could have on Buddhism’s development, proliferation and perception with a digital environment. 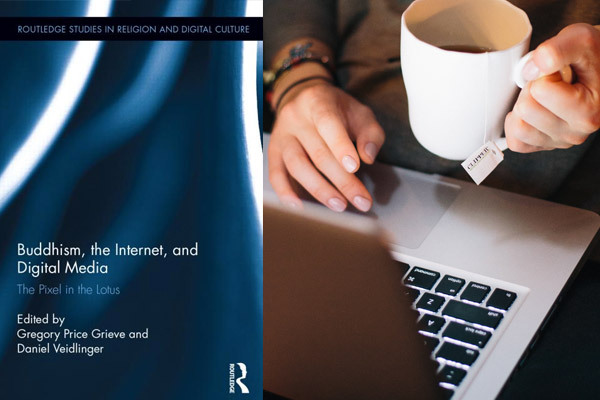 The first in the new Routledge Studies in Religion and Digital Culture series, it points out that Buddhism has been uniquely affected by this new digital era. With the integration of digital media and Buddhism practices, some have begun to question if Buddhism truly fits well with the Internet, and other media. The editors, Gregory Price Grieve, an Associate Professor in Religious Studies at the University of North Carolina-Greensboro, and Daniel Veidlinger, Associate Professor in Religious Studies at California State University-Chico, put together this incredibly well-researched compilation.